The stem cell research organisation Summit For Stem Cell Foundation has raised US $5.5 million for Parkinson’s research – and is now aiming to raise a further US $8 million to see through stem cell transplantations in 10 Parkinson’s patients. To help achieve the two-year fundraising target, the US-based foundation is inviting people from the Parkinson’s community to join them on their eight-day trek, from 3 to 11 October. 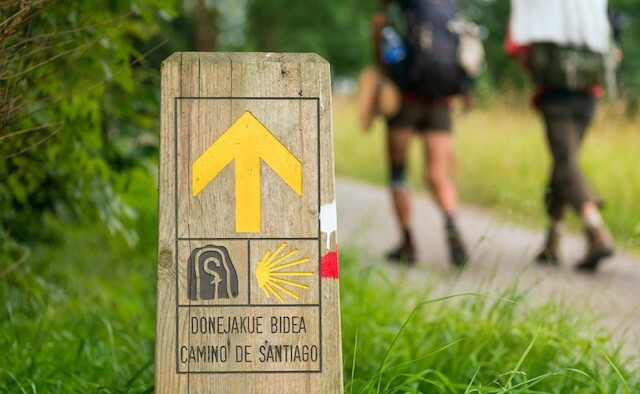 This year they will be hiking the Camino Inglés, which is one of the least travelled routes on the Camino de Santiago pilgrimage trail in Spain. Sherrie Gould, founder and movement disorders advisor, Summit For Stem Cell, says: “We’ve had 33 people sign up so far and have 27 spots left. We’ll have a bi-lingual English and Spanish speaking guide for every 10 people. “We are really hoping that we’ll get people signing up to help our cause from Europe, as it’s right on your doorstep.” She says budgets for the trip are still being finalised, but the cost is likely to be US $1,500. Sherrie is keen to stress that anyone participating with Parkinson’s must also have a ‘buddy’. The buddy will be responsible for their partner, assisting them if they need to stop or go home sooner. This is the fourth trek organised by the Summit For Stem Cell Foundation. 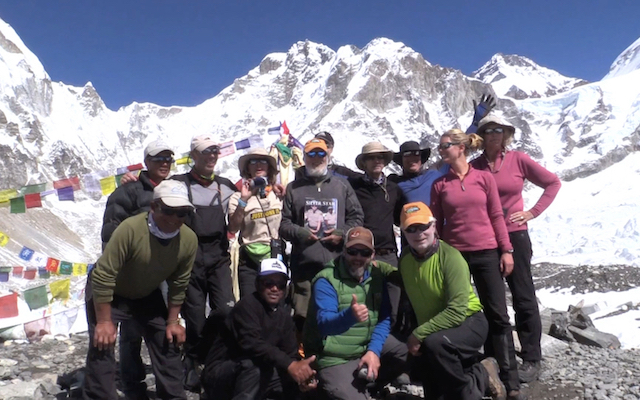 A team climbed Mount Kilimanjaro in 2011 and reached base camp at Mount Everest in 2013. 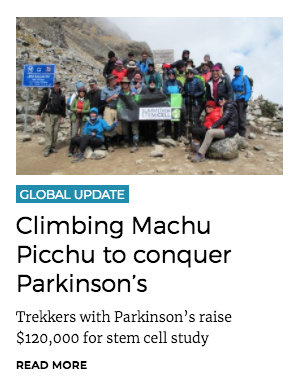 In 2016, we reported on how the Summit team, with the help of guides and pack horses, hiked for more than 30 miles over seven days to the summit of Machu Picchu, Peru – raising over US $120,000 in funds for research. 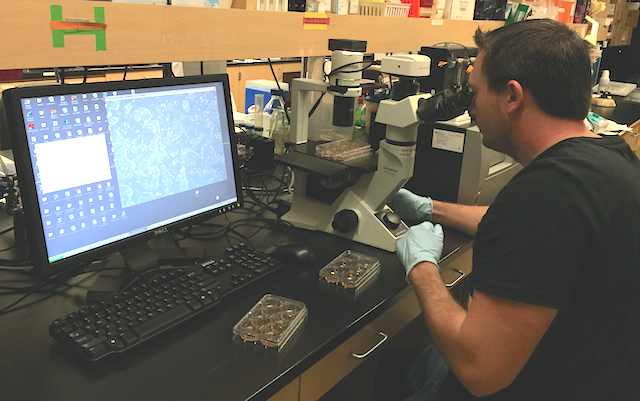 The project began in July 2010 when medical professionals from The Scripps Research Institute and Scripps Clinic, San Diego, CA, and the Parkinson’s Disease and Other Movement Disorders Center, La Jolla, CA, collaborated on Parkinson’s research using stem cells. Extensive funding was needed to support clinical trials. The organisation has since raised millions of dollars, with 97% of all donations going directly to research. They are able to keep overheads low as everyone working for the organisation does so voluntarily – apart from the scientists carrying out the research. The Summit For Stem Cell Foundation is part of a collective called G-Force PD, which involves five of the leading stem cell research teams from Europe, Japan and the US. Their next meet up is in Sweden this April. Thanks so much for the info, wonderful dudes!! Have sent it off! Which specialist diet is best for Parkinson’s disease?